When my late father passed away a year ago, he was a widower for over thirteen years. I remembered the moment when my late mother left us forever; my father hugged me tight and said that he wouldn’t get married again. I really admired my father’s devoted love to my mother! But actually, not every senior resident can enjoy their single living like my late father. For many other senior women and men, being single again can be so tough to bear. Although they are active, healthy, having good friends and loving families; they still suffer emptiness inside their hearts. Therefore lots of senior single people wish for meeting suitable partners to share great years ahead together. The problem is, for people at their ages, it can be hard to meet other interesting seniors in nearby neighborhood. It’s no wonder that they are in need of a special facility like arranged community where senior people can meet one another. Love doesn’t go to just young people, I believe it. Love story may approach again to someone at any age –even elderly people. If you are a senior citizen, there’s no one will prevent you to chase happiness in life since occupation and child care aren’t your main concerns any longer. 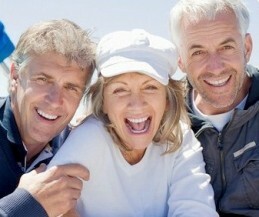 Besides finding new love, meeting other senior people may make your life brighter. Joining trustworthy seniors dating sites can be a right and fun way to develop new friendship and relationship with other seniors –from the comfort of your home. It’s possible for every senior to assemble someone special through a senior dating site. You may benefit from the online community where seniors meet seniors to easily recognize more one another gradually with no awkwardness. If later both of you come to a decision to meet, you’ll already know much about each other personally. Whether you meet a new romance or friendship, you deserve to have happier life!